5th Cities are coming. In-game, navigate to another city and you’ll see the yet to be activated 5th city icon! Incidentally, going to the city select screen also tells you immediately whether a city gate is closed(hidden) or opened. 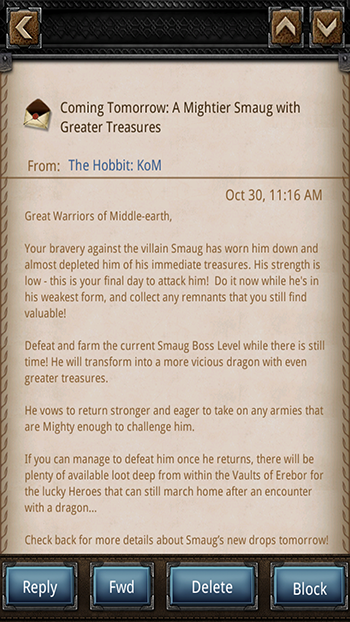 New Legendary Gear is promised, including Tauriel’s Bow, Sting, and other gear for Biblo, Elrond and Thorin. New Special Hero and Gear events. (Temporary) Campaign chapters with special drops for using specific set-ups of Heroes and Gear. Pearls confirmed as a rss and given an icon. 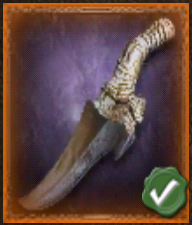 This entry was posted in Blog, General and tagged 11.2, 5th city, bilbo, bow, elrond, fifth city, game, kabam, kingdoms of middle earth, KoM, legendary gear, pearl, pearls, sting, tauriel, thorin, update by beardmonkey. Bookmark the permalink. Also for killing the New Smaug, what should we use? Is it the same 100,000 T1s or is it something different? Thank you for everything, I really enjoy reading this blog. You can use teh same combo to kill the new Samug but you have to adapt a little bit. nah..T1 was mostly used in the pre-TT world of KoM. Nowadays you should use Giants and MR, and use a buffer of support troops if you wish so/have those standing ready. I use my porters and master rangers to attack the lezard. And it’s sufficient. The new lezard has change the game and we return to the past. Without a better drop you will see your Giants duying a little more each day. I prefer kill troops that I can produce for the moment. I understand. We’ll have to wait for TT to become trainable to see how doable this will be in the long run. Since new update we can win lot of stuff on Moria last MAP, but it seem we need to use a particular heros and particular tiers… Sorry for my english 🙂 and thks for your job !! I guess certain heros and troop types can drop special treasures on certain maps in campaign. Whos got the scoop on that?